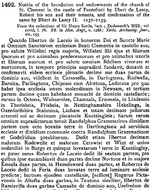 Cartulary: Early Yorkshire Charters. W. Farrer. Ballantyne, Hanson & Co. Edinburgh. 1916.